Discover new music and enjoy old favorites, right from your desktop with this free app. Start with your favorite artist, song or composer and Pandora will create a custom station that plays similar tracks. Already a Pandora listener? Even easier. Just log in. 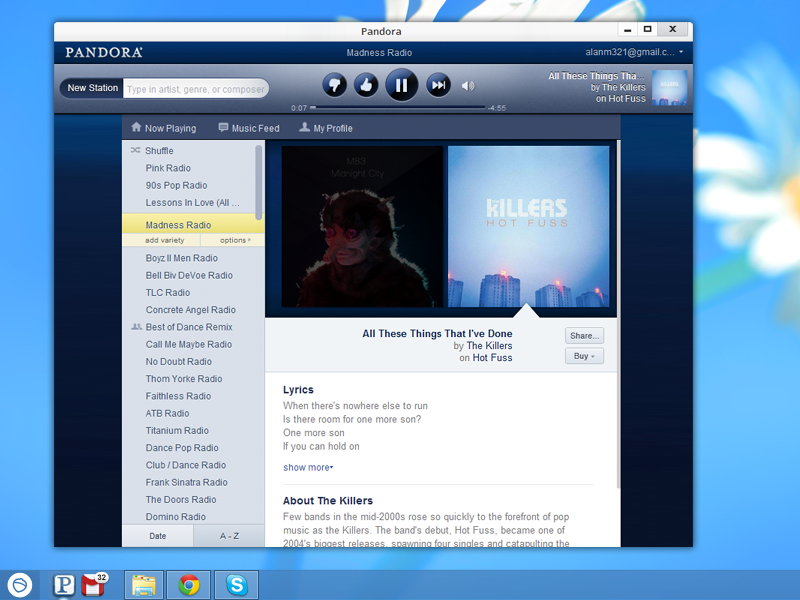 Pandora desktop app for Pokki is fully integrated with Pandora on the web. This Pandora desktop app is made possible by Pokki, free software that brings a modern app experience for hundreds of free apps and games to your Windows PC.